Voted by you, styled by me, September’s winning style is going back to basics. In case you never knew what a braid out is, or if like me you’ve hardly rocked them when your hair was shorter but are now considering them with your new hair length, it’s my current fave way of getting that bodacious fro. You’ve voted, now watch then don’t forget to rock your version! A few of you sent me some GORGE pics of last month’s style, the Front Puff. 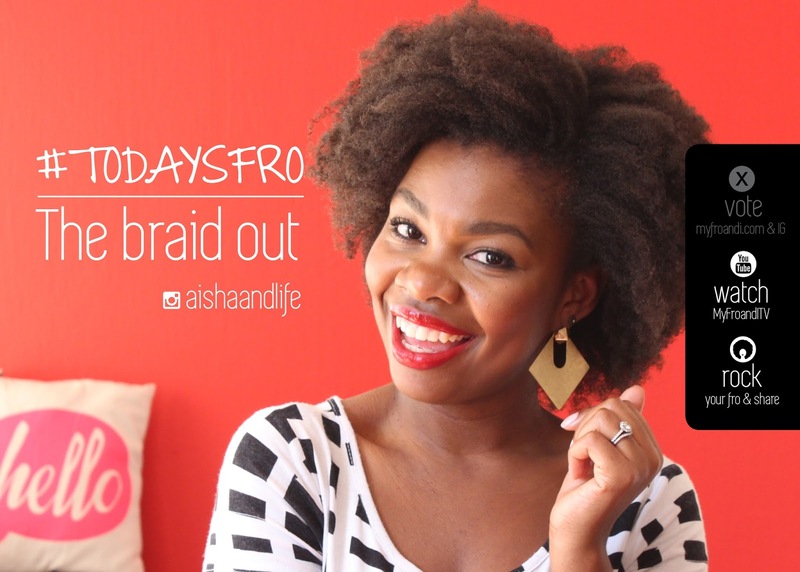 I love getting photos from you so please don’t forget to tag me @aishaandlife and #todaysfro to share your selfie of you rocking a braid out.